Have you ever heard those stories about people who win the lottery multiple times, yet still end up broke? Those stories fascinate me. I like to think if I ever won big I would use the money wisely, but it’s entirely possible I’d spend it all on shoes. At work we play the lottery whenever the jackpot is big. Even though we all know we’re probably just throwing away our money, no one in the department wants to risk being the only one who has to show up at work on Monday morning. That’s not to say I’ve never won anything. Last Friday I found a penny, picked it up, then won a free coffee from Tim Horton’s Roll up the Rim. Free coffee makes me ridiculously happy. And in December I entered the Holiday Recipe Exchange from Good Life Eats and My Baking Addiction with my Maple Butterscotch Pudding. Thanks to your kind votes I won a gift package from Kerrygold. The package had TONS of cheese and a selection of butter. Looking at all the cheese I received I knew I had to make something with it. The first thing that came to mind was Macaroni and Cheese. I’m not going to say this is the best recipe ever, because I’m sure there are many of you out there who make a mean mac and cheese, but it was definitely the best I’ve ever made. I used Kerrygolds Garlic and Herb Butter to make the roux, and their Red Leicester cheese in the sauce. It’s a mild, cheddar like cheese with a nice tang to it. The sauce was pure cheesy goodness. I can’t wait for my next Kerrygold experiment! Cook the macaroni as per package instructions until al dente. While the pasta is cooking, make the sauce. In a large sauce pan on medium high heat, melt the butter. Add the flour and stir until it starts to bubble slightly. Add the warm milk. Lower the heat to medium and stir constantly until the sauce begins to thicken (about 5 minutes). Once thickened, add the cheese and stir until completely melted. Taste the sauce, add salt and pepper if necessary. Your version looks beautiful and delicious to me! Hey, I wasn’t quite sure if you won that contest, but your puddings definitely deserved it. YAY! And lovely mac n cheese too. So you accomplished the most important thing…it looks crazy cheesy! This looks amazing! And so easy to do! Gorgeous – thank you! This is my first visit to your blog and I must say your stove top mac/cheese looks great! I recently made a baked mac and cheese but it wasn’t stellar. I’ll have to give your recipe a whirl. I love the fact that I wouldn’t have to use an oven! :) Cheers, and congrats on your Top 9. I could eat mac and cheese every single day and never tire of it. Yours looks just so silky and delicious, I’m craving it. Congrats on the top 9, this dish deserves to be right up there!! I quite enjoy Red Leicester Cheese and /or a very sharp cheddar, however if I was spending upwards of $10.00 for a cheese for dinner I think i may opt for a steak or a seafood. Its about $12-16.00 for the portion required in receipe. I really prefer TopHat when I can find it and i dont mind paying the $18-22.00 lb price. That TopHat cheddar cheese is deadly expensive but so incredible! and very hard to find in Canada. I would prefer just to enjoy the cheese with a crusty bread and or a cracker. I love love love mac and cheese. It looks wonderful. I like the tang of Kerrygold butter, I’m sure it goes nicely with a sharp cheddar in a sauce like this. Love mac n cheese and there are so many great varieties out there! Oh yeah, this looks right up my alley. Ooey, gooey and extra cheesy! I don’t know if this is how to leave a comment or not, I’m fairly new to the world of blog…However, I had to try. That macaroni recipe looks amazing, which is very frustrating! :) I started a blog a little awhile ago to track my successes(or more my failures) on the way to fitness and your blog is NOT helping!! But I am not upset, far from it, you make cheating so exciting! I just have to say, you must never be stressed with all these tasty ideas in your head! Thanks for the temptation! How did you know my weakness is mac and cheese? This sounds fabulous.. homemade totally beats the blue box! I followed you from the foodie blog roll and I’d love to guide Foodista readers to your site. 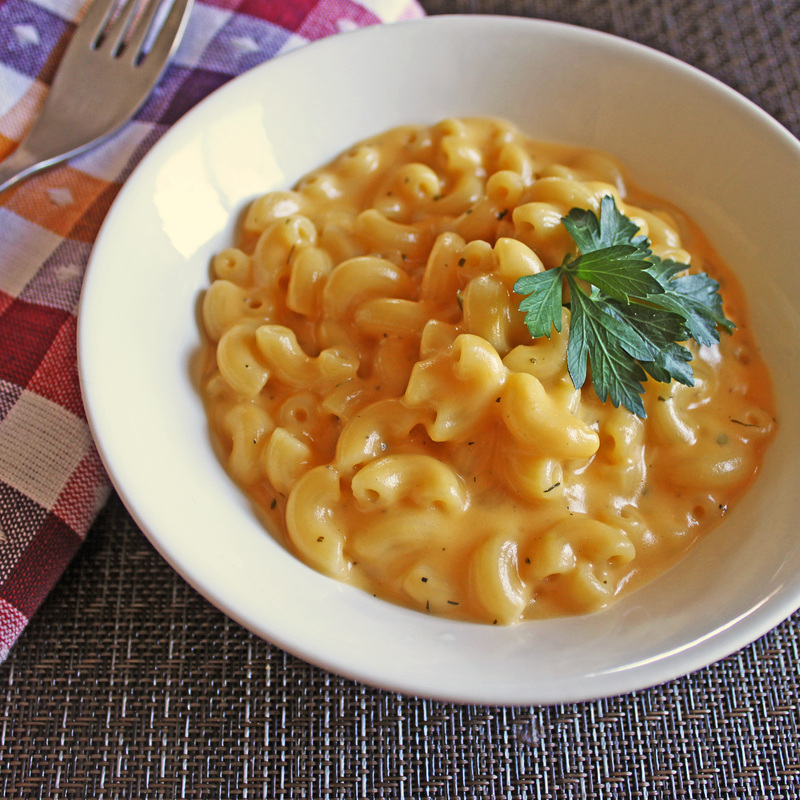 I hope you could add this mac and cheese widget at the end of this post so we could add you in our list of food bloggers who blogged about recipes for mac and cheese,Thanks!